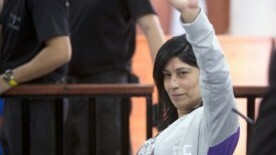 Israel last week extended the administrative detention of Palestinian lawmaker Khalida Jarrar by a further six months, meaning she will have been held without trial for a year at the end of June. 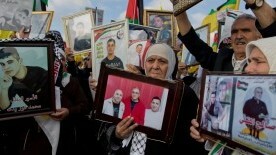 As is usual in such cases, the evidence on which Jarrar is being held is deemed confidential and has not been released. Israel’s military has ordered a Palestinian journalist to be held for four months without charges or trial. 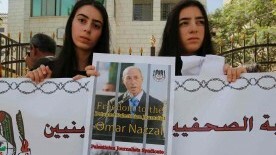 The military said Omar Nazzal is being held in administrative detention on suspicion of “unlawful activity” for the Popular Front for the Liberation of Palestine, a PLO faction that has been labelled a terrorist organisation by Israel. International Women’s Day is celebrated across the globe today, March 8th, and is most commonly associated with advancements for the role of women in the workplace and workers’ rights and protections. 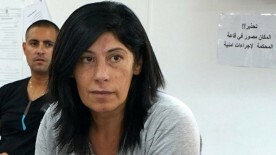 In the West Bank, leading feminist and imprisoned Marxist-Leninist politician Khalida Jarrar released a statement from jail to mark International Women’s Day. Palestinian legislator Khalida Jarrar was sentenced to 15 months in jail on Monday by an Israeli military court in the West Bank, making her the sixth member of the Palestinian Legislative Council currently in Israeli detention. 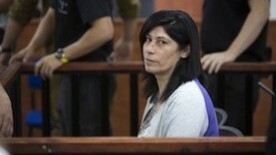 The sentence was part of a plea bargain that saw Jarrar convicted on 12 counts, including belonging belonging to an illegal organization, violating a travel ban, and incitement to kidnap Israeli soldiers. 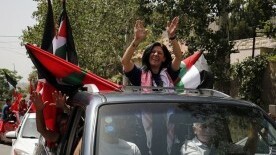 An Israeli military court sentenced Palestinian parliamentarian Khalida Jarrar to 15 months in prison on Sunday. 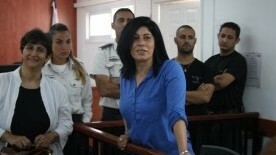 Jarrar, who is a prominent critic of the Palestinian Authority — and specifically its security coordination with Israel — was sentenced after eight months imprisonment, some of which were spent in administrative detention. 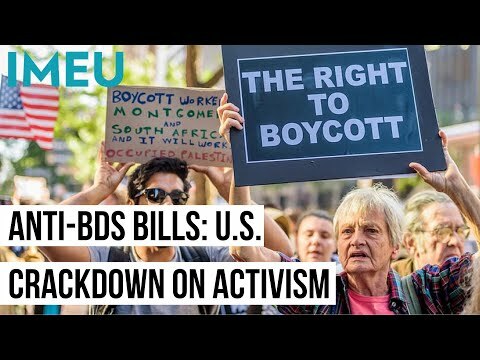 As a Black activist, many people ask me why I choose to support Palestinian rights. While the answer is in some ways complicated -- triggering significant personal and political questions for me -- in other ways it is quite simple: I stand in solidarity with anyone fighting for freedom. No one is free until everyone is free from oppression.